Hand in hand we’ll trace our path. To the journey, we dreamed of. Fix those fingers into the gaps. Promise, I won’t let them slip. Not even a footprint we’ll left. We two will enter into our own little world. Through a door that will be made only for us. Bodies will just be a part. 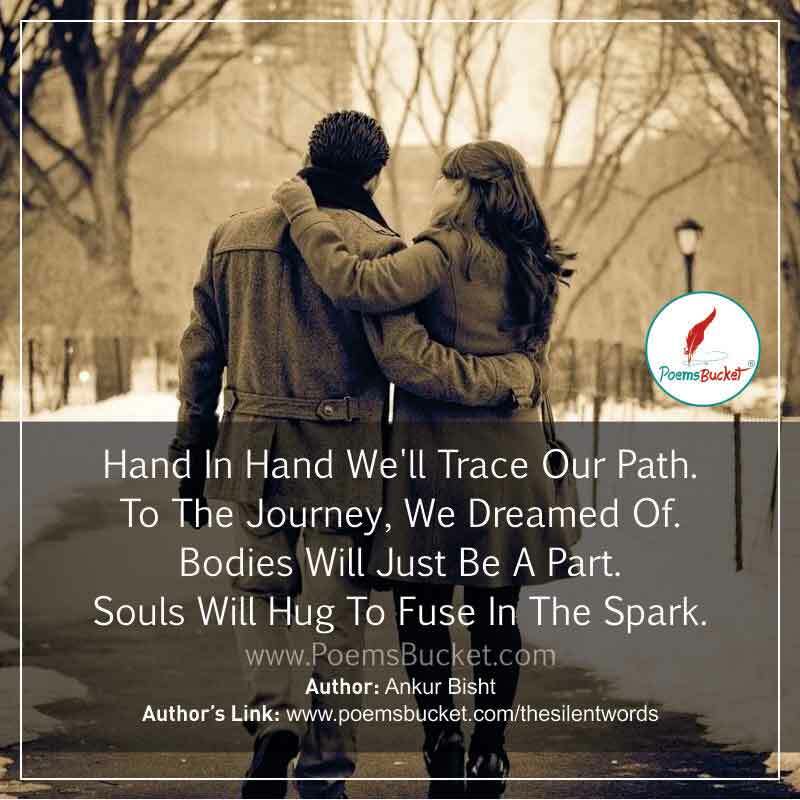 Souls will hug to fuse in the spark.